3.7 out of 5 based on 6 bloggers and 0 commenters. 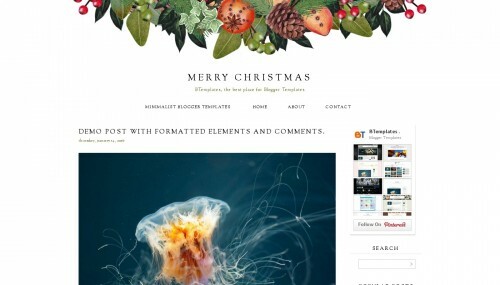 Merry Christmas is a free blogger template with 2 columns, seo friendly, right sidebar, minimalist, an exclusive design for Blogger, footer columns, girly looking, floral motifs, simple look and neutral colors. Excellent template for blogs about christmas, crafts, family, home and decoration, photography or a personal portfolio site.